247Sports NFL Analyst Kevin Boilard breaks down the salary cap space for all 32 teams. 247Sports New England Patriots reporter Tyler Sullivan joins Kevin Boilard to discuss the toughest opponents the Patriots will face this upcoming season. NFL analyst Danny Kanell breaks down why Chiefs-Patriots is among his top 5 NFL games this season ahead of today's schedule release. NFL analyst Danny Kanell breaks down why Browns-Patriots is among his top 5 NFL games this season ahead of today's schedule release. Steven Taranto of the Carolina Panthers on 247Sports breaks down the team's signing of WR Chris Hogan. 247Sports NFL Analyst Kevin Boilard breaks down the latest AFC East title projections for the 2019 season. Tyler Sullivan of the New England Patriots on 247Sports joins Kevin Boilard to shed light on an underrated offseason storyline. Tyler Sullivan of the New England Patriots on 247Sports joins Kevin Boilard to name the team's ideal opponents for the 2019 season opener. Did the NFL get its 2019 regular-season opener right? 247Sports NFL Analyst Kevin Boilard delivers his take on the matchup between the Green Bay Packers and Chicago Bears in Week 1. 247Sports New England Patriots reporter Tyler Sullivan joins Kevin Boilard to discuss who the Patriots should draft at the tight end position in this year's NFL Draft. 247Sports New England Patriots reporter Tyler Sullivan joins Kevin Boilard to discuss why the Patriots are unlikely to replace Rob Gronkowski with another tight end. Tyler Sullivan of the New England Patriots on 247Sports breaks down Rob Gronkowski's retirement from two major angles. Patriots defensive lineman Lawrence Guy joins Bill Reiter to discuss life as a Super Bowl champion, the evolution of NFL free agency, and helping kids with learning disabilities. Tune into Reiter's Block every Monday through Friday at 5 pm ET. Tyler Sullivan of the New England Patriots on 247Sports joins Kevin Boilard on the 247Sports NFL Free Agency Special on Facebook Live to discuss where the team currently stands. Former Alabama running back Damien Harris speaks to reporters at the NFL Scouting Combine. Rams HC Sean McCoy explains how the New England Patriots were able to keep the advantage and defeat the Rams. Tyler Sullivan of the New England Patriots on 247Sports joins Kevin Boilard to preview the team's plans at the NFL Scouting Combine. 247Sports New England Patriots reporter Tyler Sullivan joins Kevin Boilard to discusses who he believes are the top 10 free agents the Patriots need to sign this offseason. Tyler Sullivan of the New England Patriots on 247Sports joins Kevin Boilard to identify what fans should take from Odell Beckham Jr. trade rumors. Tyler Sullivan of the New England Patriots on 247Sports joins Kevin Boilard to explain why the team should use the franchise tag on Trent Brown. Former Kennesaw State WR and current NFL draft prospect Justin Sumpter chats 1-on-1 with Kevin Boilard of 247Sports. Jamey Eisenberg and Pete Prisco break down the notable offseason storylines regarding the Patriots. How many quarterbacks will go in Round 1 of the 2019 NFL Draft? 247Sports NFL Draft expert Josh Edwards joins Kevin Boilard to project the number of quarterbacks who could go in the first round. 247Sports NFL Analyst Kevin Boilard tells the story of New England Patriots running back Sony Michel. On The Tuesday Touchdown at 247Sports, New England Patriots reporter Tyler Sullivan joins Kevin Boilard to break down the fallout from Super Bowl LIII. Can the Patriots can pull a Peyton Manning, extend Tom Brady's career? On The Tuesday Touchdown at 247Sports, NFL Analyst Kevin Boilard delivers his take on New England Patriots head coach Bill Belichick after Super Bowl LIII. 247Sports Patriots writer Tyler Sullivan joins Bill Reiter to discuss Super Bowl LIII, offseason expectations for New England, and the Patriots' place in sports history. Tune into Reiter's Block every Monday through Friday at 5 pm ET. Danny Kanell discusses what to expect from the Rams next season. Does the Patriots defense deserve all the credit in SB LIII? Boston Globe's Ben Volin discusses if the Patriots defense deserves all the credit. How much does this win to QB Tom Brady and Bill Belichick's legacy? On CBS Sports HQ, Erik Kuselias and Hakeem Dermish recap Super Bowl LIII, presented by GMC. Bill Belichick speaks at the podium after winning his 6th Super Bowl with the Patriots. Erik Kuselias has more on Julian Edelman becoming the 7th wide receiver to ever win the Super Bowl MVP award. Brady Quinn and Pete Prisco discuss Julian Edelman's MVP Performance in Super Bowl LIII, from Mercedes-Benz Stadium. Bryant McFadden and Chris Hassel offer their instant reactions to the New England Patriots' 13-3 victory over the Los Angeles Rams in Super Bowl LIII. Does the Patriots' Super Bowl experience give them an edge? Chris Hassel, Brady Quinn, and Jamey Eisenberg recap the daily events from Super Bowl LIII in Atlanta, presented by GMC. Brady Quinn, Jamey Eisenberg, Will Brinson, and Chris Hassel break down the special teams and head coach battle in Super Bowl LIII. New England Patriots head coach Bill Belichick speaks with reporters on the final day of Super Bowl LIII media availability. Tommy Tran, Brady Quinn, and Bryant McFadden recap the daily events from Super Bowl LIII in Atlanta, presented by GMC. Julian Edelman discusses sticking to his routine ahead of Super Bowl LIII on Day 4 of media week. Sean McVay praises Julian Edelman's play on Day 4 of Super Bowl LIII media week. Patriots DB Jason McCourty discusses the feeling of possibly winning his first Super Bowl on Day 4 of Super Bowl LIII media week. Rob Gronkowski focuses on the Super Bowl instead of life after it on Day 4 of Super Bowl LIII media week. Rob Gronkowski reflects on his high school football days on Day 4 of Super Bowl LIII media week. Brady Quinn and Bryant Mcfadden break down the defensive battle in Super Bowl LIII. Los Angeles Rams head coach Sean McVay discusses how he has taken some of Bill Belichick's ideas and implemented them into his team. On Day 3 of Super Bowl LIII media days, New England Patriots QB Tom Brady discusses the intensity of WR Julian Edelman and his toughness after coming back from injury. Tommy Tran, Brady Quinn, and Will Brinson recap the daily events from Super Bowl LIII in Atlanta, presented by GMC. New England Patriots safety Devin McCourty speaks with reporters on Day 3 of Super Bowl LIII media week. New England Patriots running back James White speaks with reporters on Day 3 of Super Bowl LIII media week. New England Patriots fullback James Develin speaks with reporters on Day 3 of Super Bowl LIII media week. New England Patriots safety Patrick Chung speaks with reporters on Day 3 of Super Bowl LIII media week. New England Patriots head coach Bill Belichick speaks with reporters on Day 3 of Super Bowl LIII media week. New England Patriots cornerback Stephon Gilmore speaks with reporters on Day 3 of Super Bowl LIII media week. Tom Brady reflects on Super Bowl XXXVI at his press conference on Day 3 of Super Bowl LIII media week. Tom Brady sets the record straight on his relationship with Bill Belichick at his press conference on Day 3 of Super Bowl LIII media week. Tom Brady weighs the possibility of coaching after retirement at his press conference on Day 3 of Super Bowl LIII media week. Tom Brady outlines the strengths of the Rams offense at his press conference on Day 3 of Super Bowl LIII media week. Brady Quinn and Will Brinson break down the wide receiver and tight end battle in Super Bowl LIII. NFL Commisioner Roger Goodell discusses the latest on WR Josh Gordon and his future in the NFL. On Day 3 of Super Bowl LIII media week, Rams RB Todd Gurley shares the advice he gave to Patriots rookie RB and Georgia alum Sony Michel. Tommy Tran, Jamey Eisenberg and Brady Quinn recap the daily events from Super Bowl LIII in Atlanta, presented by GMC. 247Sports NFL Analyst Kevin Boilard asks members of the Los Angeles Rams and New England Patriots about the NFL officials before Super Bowl LIII. Tom Brady outlines the strengths of Wade Phillips and the Rams defense on Day 2 of Super Bowl LIII media week. Tom Brady shares his experience from his trip to China on Day 2 of Super Bowl LIII media week. Tom Brady describes making his ninth Super Bowl appearance on Day 2 of Super Bowl LIII media week. New England Patriots head coach Bill Belichick speaks with the media on Day 2 of Super Bowl LIII media week. On CBS Sports HQ, Kenny White and Micah Roberts share their over/under plays for Super Bowl LIII. On CBS Sports HQ, Kenny White and Micah Roberts share their plays for Super Bowl LIII. On CBS Sports HQ, Kenny White and Micah Roberts share the top Super Bowl LIII prop with a big-money payout. On CBS Sports HQ, Kenny White and Micah Roberts share the best cross-sport Super Bowl LIII prop bet. 247Sports NFL Analyst Kevin Boilard asks New England Patriots players what they do behind the back of head coach Bill Belichick. Does Bill Belichick believe Tom Brady is the GOAT? New England Patriots head coach Bill Belichick discusses if he believes QB Tom Brady is the greatest quarterback of all-time at Super Bowl LIII media day. What does Tom Brady do the day before the Super Bowl? New England Patriots QB Tom Brady shares what his plans are the day before Super Bowl LIII. Which veterans helped Tom Brady build up his confidence? New England Patriots QB Tom Brady shares which veterans helped him build confidence going into his second NFL season. New England Patriots head coach Bill Belichick shares how WR Julian Edelman's preparation for playoff games has played a significant role in the Patriots' success. Ben Volin joins the Pick Six Rundown to discuss what it's like covering the Patriots. Patriots HC Bill Belichick shares his thoughts on Rams defensive coordinator Wade Phillips. Patriots HC Bill Belichick shares his relationship and thoughts on Rams HC Sean McVay and the career he has had so far. Bryant McFadden and Jamey Eisenberg break down the early line movement and share their Super Bowl picks, presented by Dickey's Barbecue Pit. On Sportsline, Kenny White and Will Brinson join Erik Kuselias to break down some of the craziest props for Super Bowl LIII. 247Sports NFL Analyst Kevin Boilard breaks down the exact impact New Orleans Saints fans can have on television ratings by boycotting Super Bowl LIII. Bryan DeArdo and Kevin Boilard of 247Sports make the call on three major Super Bowl history superlatives. On The Tuesday Touchdown at 247Sports, Los Angeles Rams writer Connor Casey joins Kevin Boilard to discuss the team's matchup with the New England Patriots in Super Bowl LIII. On The Tuesday Touchdown at 247Sports, New England Patriots writer Tyler Sullivan joins Kevin Boilard to discuss the team's matchup with the Los Angeles Rams in Super Bowl LIII. On The Tuesday Touchdown at 247Sports, NFL Analyst Kevin Boilard advocates for the league to admit its officiating error in the NFC Championship between the New Orleans Saints and Los Angeles Rams. 247Sports New England Patriots reporter Tyler Sullivan joins Kevin Boilard to discuss why LB Kyle Van Noy was the hidden gem in the Patriots AFC title victory. 247Sports New England Patriots reporter Tyler Sullivan joins Kevin Boilard to discuss how the Patriots tight end has been picking it up at the best possible time. 247Sports New England Patriots reporter Tyler Sullivan joins Kevin Boilard to discuss why he believes Tom Brady will continue playing if he wins his sixth Super Bowl title. Kelly Stewart breaks down the early line movement for Super Bowl LIII, presented by Dickey's Barbecue Pit. 247Sports NFL Analyst Kevin Boilard highlights three matchups that will decide the Super Bowl clash between the New England Patriots and Los Angeles Rams. Tyler Sullivan of the New England Patriots on 247Sports reacts to the team's 37-31 overtime win over the Kansas City Chiefs in the AFC Championship. 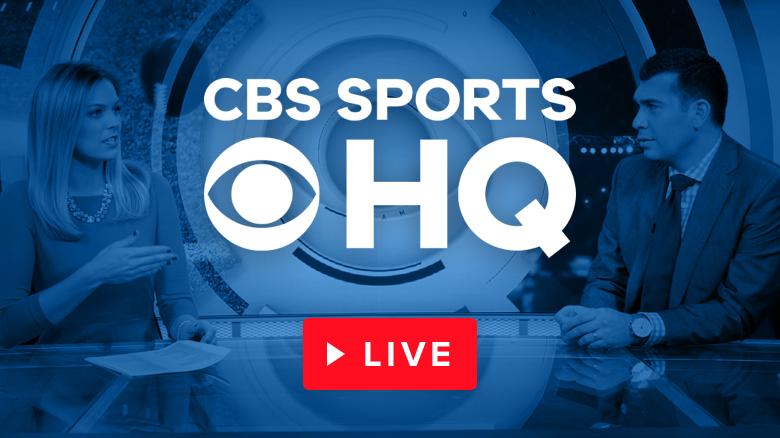 On CBS Sports HQ, NFL analyst Tony Romo joins Erik Kuselias to recap the New England Patriots winning the AFC Championship over the Kansas City Chiefs to advance to Super Bowl LIII on CBS. 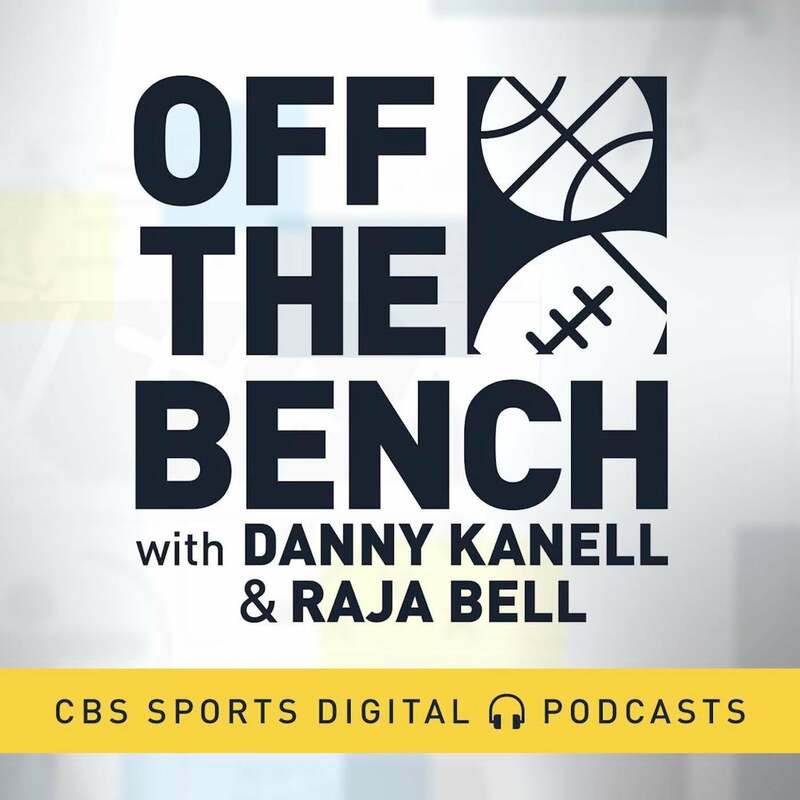 On Off the Bench with Kanell and Bell, Casey Kiernan and Raja break down who they think will win the Super Bowl. Emory Hunt gives you his notable picks for this weekend's AFC and NFC Championship Games and takes a closer look at the referees for each game. On CBS Sports HQ, Casey Keirnan delivers the StubHub Big Ticket Games of the Week. On The Tuesday Touchdown at 247Sports, NFL Writer Connor Casey joins Kevin Boilard to discuss Rob Gronkowski's future. On The Tuesday Touchdown at 247Sports, NFL Writer Connor Casey joins Kevin Boilard to discuss the AFC Championship. Can Andy Reid out-coach Bill Belichick in the AFC Championship? On this week's episode of The Tuesday Touchdown, 247Sports' NFL analyst Kevin Boilard discusses if Andy Reid can bring down Bill Belichick in the AFC Championship game. Can Patrick Mahomes bring down Tom Brady? On this week's episode of The Tuesday Touchdown, 247Sports' NFL analyst Kevin Boilard discusses if the young Kansas City QB can dethrone Tom Brady as the AFC's best quarterback. On The Tuesday Touchdown at 247Sports, New England Patriots writer Tyler Sullivan joins NFL Analyst Kevin Boilard to preview the AFC Championship. On CBS Sports HQ, Kelly Stewart and Micah Roberts break down their top betting angle for the AFC Championship game. Jamey Eisenberg and Pete Prisco break down their expert picks for Championship Sunday, presented by Dickey's Barbecue Pit. Jamey Eisenberg and Pete Prisco break down their expert pick for the AFC Championship game, presented by Dickey's Barbecue Pit. 247Sports NFL Analyst Kevin Boilard highlights how order has been restored after a chaotic start to the NFL Playoffs. Tracy Wolfson caught up with Patriots quarterback Tom Brady after New England's 41-28 win over the Los Angeles Chargers to advance to the team's 8th straight AFC Championship where they will battle the Kansas City Chiefs. Tony Romo joins Nick Kostos on CBS Sports HQ to recap the Patriots' victory over the Chargers in the AFC Divisional Round. Tyler Sullivan of the New England Patriots on 247Sports breaks down the team's performance in a 41-28 win over the Los Angeles Chargers in the AFC Divisional round. 247Sports NFL Analyst Kevin Boilard explains why the AFC Championship is the Kansas City Chiefs' game to lose after their Divisional round win over the Indianapolis Colts. Emory Hunt gives his picks for NFL Divisional Playoffs. Rivers or Brady: Who wins this weekend? On this week's episode of The Tuesday Touchdown, 247Sports' NFL analyst Kevin Boilard discusses who will come out on top between Tom Brady and Philip Rivers in this weekend's AFC Divisional playoff game. Tyler Sullivan of the New England Patriots on 247Sports joins Kevin Boilard to breakdown the RB battle between Melvin Gordon and James White. Tyler Sullivan of the New England Patriots on 247Sports joins Kevin Boilard to forecast the future for Josh McDaniels. Tyler Sullivan of the New England Patriots on 247Sports joins Kevin Boilard to discuss why the Chargers should still scare the Patriots ahead of their Divisional Round meeting. Tyler Sullivan of the New England Patriots on 247Sports joins Kevin Boilard to reveal the most fascinating Patriots story that has stayed under the radar. Phil Simms and Boomer Esiason break down the upcoming matchup between the Chargers and Patriots. On CBS Sports HQ, Kelly Stewart and Larry Hartstein break down the top betting angle for the Chargers-Patriots matchup on Sunday. 247Sports NFL Analyst Kevin Boilard introduces the top five difference-makers heading into the Divisional round of the NFL Playoffs. Tyler Sullivan of the New England Patriots on 247Sports breaks down the team's matchup with the Los Angeles Chargers in the AFC Divisional round. 247Sports NFL Analyst Kevin Boilard delivers his predictions for the playoffs and Super Bowl LIII. On The Tuesday Touchdown at 247Sports, New England Patriots writer Tyler Sullivan joins NFL Analyst Kevin Boilard to break down the playoffs and coaching options. Tyler Sullivan of the New England Patriots on 247Sports explains why Tom Brady's Week 17 performance was just what the team needed. On CBS Sports HQ, Dan Fouts joins Nick Kostos to recap the Patriots' big win over the Jets, in which Tom Brady threw for a season-high 4 touchdowns and New England clinched a 1st-round bye in the playoffs as a result. On CBS Sports HQ, Julian Edelman joins Evan Washburn to break down 38-3 win over the Jets. Mike DiSipio of 247Sports breaks down the top five chaos scenarios heading into Week 17 of the 2018 NFL season. 247Sports NFL analyst Kevin Boilard unveils his Week Seventeen NFL Quarterback Power Rankings. Previewing the Jets and Patriots in Week 17, presented by Buffalo Wild Wings. Tyler Sullivan of the New England Patriots on 247Sports reacts to the team's division-clinching win over the Buffalo Bills on Sunday.